Internazionale are in advanced talks with Southampton over a loan deal for right-back Cedric Soares, Sky Sports News understands. Soares has barely been given a game by new Saints boss Ralph Hasenhuttl, who has preferred youngster Yan Valery - a £50,000 signing from Rennes. Inter are understood to be looking at loans this month in order to comply with their Financial Fair Play obligations. 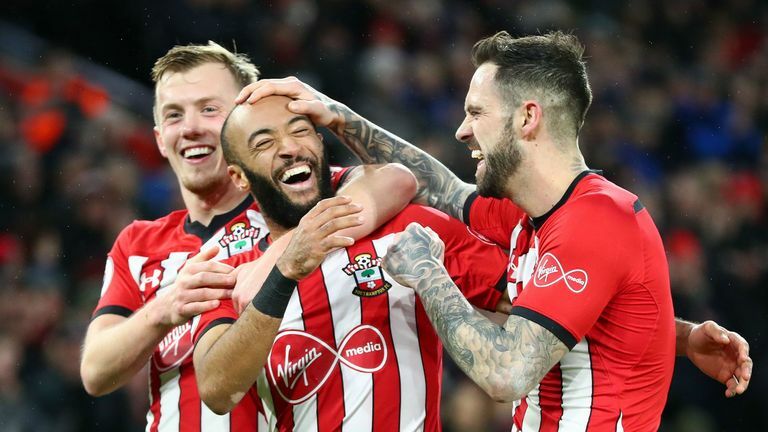 Soares - a 27-year-old Portugal international - has played 18 Premier League games for the Saints this season, but suffered a calf strain in December, which ruled him out for most of the month. He returned in the draw against Chelsea on January 2, playing 90 minutes, but was benched for Southampton's last two games - the back-to-back wins over Leicester and Everton. The right-back signed for Southampton in 2015, and has made a total of 104 top-flight appearances for the club.